As TU/e we are at the heart of society. We create technological solutions that help tackle major societal challenges in three key areas of health, smart mobility and energy. We thereby offer an educational environment that is relevant, challenging and imaginative. An environment in which the engineers of tomorrow rise up to constantly innovate their future field of work. There is very good reason why we work closely with technological companies to translate scientific insights and knowledge into value for society. Doing research together that is relevant and valuable to society also means co-investing. 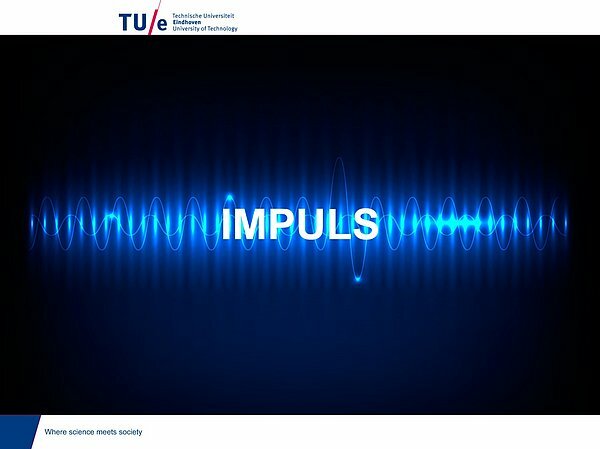 So we have conceived an innovative method at TU/e to facilitate more research in the umbrella themes of Health, Smart Mobility and Energy: IMPULS. How does it work? Via a call for proposals to industry we define a number of research projects. The agreement is that for each AIO (Promovendus) engaged by TU/e in research, industry adds one. In exchange for this, the industrial partner gains ‘Easy Access IP’. This means that patents that derive from the joint research can be transferred to the industrial partner with little restriction. The IMPULS approach has proven to be a success. The first and second call of 2012 and 2013 were considerably oversubscribed. This means that there is plenty of budget (some 105 million euros) for research and many interesting PhD places for TU/e researchers. In this way the IMPULS instrument also fosters future collaboration between TU/e and industrial partners, since AIO’s do research in a period of 4 years (standard) while the R&D roadmaps of industry tend to cover between 8 and 10 years. By working together we thus become stronger also in terms of being able to acquire research investments from European funding programs such as Horizon 2020. For more information, contact: Gérôme Friesen or Steef Blok.